This week, for episode 39 I had the great pleasure of speaking with Tom Dante (who you may already know from Twitter as @Trader_Dante). Tom’s a day trader from London, who tells it exactly how it is, he makes no attempt to soften the blow from the harsh realities of trading. He’s got a really interesting and unique story about how he got started trading, which was around 1999. And from that point on there was a period of about 7 years, where Tom struggled to gain consistency with his trading results (we speak at lengths about this during the first part of the interview). After developing a track record of profitability, Tom joined a prop trading firm, where he learnt many of the solid trading principals that have shaped him into the trader he is today – many of which are discussed during this episode. Now days, Tom is an independent trader who focuses mostly on the Bund market intraday, as well as other futures. Besides the few points I’ve already mentioned, we of course discuss much more, including; the competitiveness of professional trading, the importance of learning from your mistakes quickly, and the real cost of becoming a great trader. How Tom originally ‘limped’ into trading and used his competitive nature to spur him on through 7 volatile years, before he gained consistent profitability. Tom shares his motivations for trading with a prop firm, and some of the greatest trading principals that were drilled into him by hugely profitable traders. Insight to how Tom looks for trading opportunities, generally capitalizing on areas where other market participants are caught. And why this ‘flies in the face’ of what many new traders are taught. Tom highlights the dangers of ignoring the structure of a market you’re trading, by trying to impose your own risk and reward parameters. 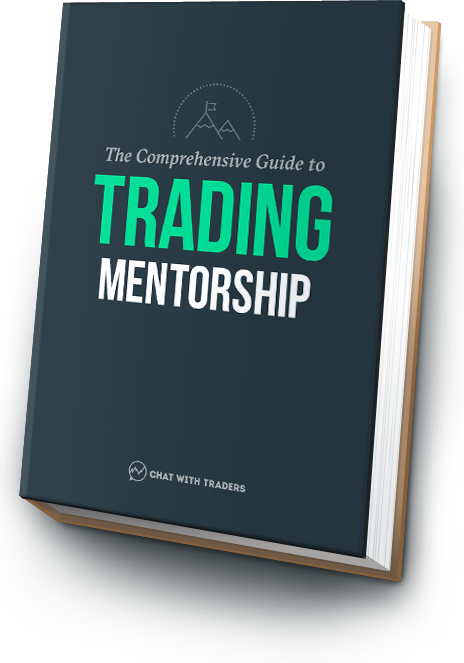 Why some traders become successful and others fail, even in a prop trading environment where each trader has access to the same mentoring, software, and equipment etc. The importance of having an essential skill like ‘patience’, and why it’s absolutely necessary to learn from your mistakes quickly. Time can be a deadly factor to a traders success. Tom speaks to the competitiveness of trading, and the amount of hours that insanely profitable traders dedicate to improving their edge, and reviewing their performance. He also shares a real eye-opening story that may change your work ethic completely. Trader-Dante.com – To learn more about Tom, his approach to trading, and educational material be sure visit his website. @Trader_Dante – Tom’s very active on Twitter, and one trader you must-follow. EdgeWonk.com – Tom had great things to say about EdgeWonk during the interview: A tool which makes it easy for you to journal your trading performance, and help you to discover an edge.